LoRa is a super long-distance wireless transmission scheme based on spread spectrum technology. This solution changes the previous trade-offs between transmission distance and power consumption, providing users with a simple system that can realize long-distance, long battery life and large capacity, and then expand the sensor network, mainly working in the 470M frequency band. The product uses high-performance industrial-grade chips to achieve transparent data transmission. The pin design is compatible with Shuncom's previous products, allowing customers to quickly and flexibly design and upgrade their products. The superior performance of this product's low-power WAN technology plays an important role in the fields of agricultural informationization, environmental monitoring, smart meter reading, intelligent oilfield, vehicle tracking, smart industry, smart city, and smart community. Transmission distance and power consumption, after the Shuncom LoRa module is optimized by multiple software and hardware engineers, the sleep current reaches the micro-ampere level. It can realize ultra-long-distance transmission under ultra-low power consumption, and has obvious advantages in battery-powered applications. The LoRa modulation technology uniquely spreads the spectrum of the signal, and the receiving sensitivity is astonishing -140dBm, which can be used in applications where long-distance transmission and high reliability are required. The LoRaWAN network can access tens of thousands of nodes, which can be flexibly increased or decreased according to project needs, and the network has good scalability. 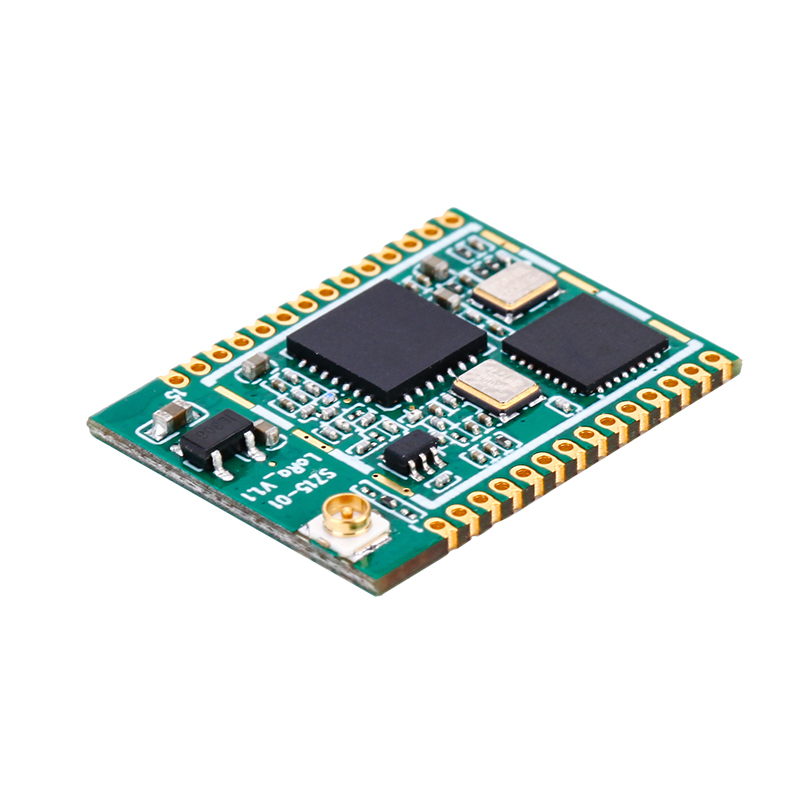 Small in size, it provides a variety of forms of antenna connection, flexible embedded in a variety of devices. Shuncom encapsulates the complex LoRa underlying protocol, allowing customers to transparently pass application data through the serial port. Shuncom's LoRa supports command configuration and serial port tool configuration.